TIAKI means to CARE FOR PEOPLE AND PLACE. 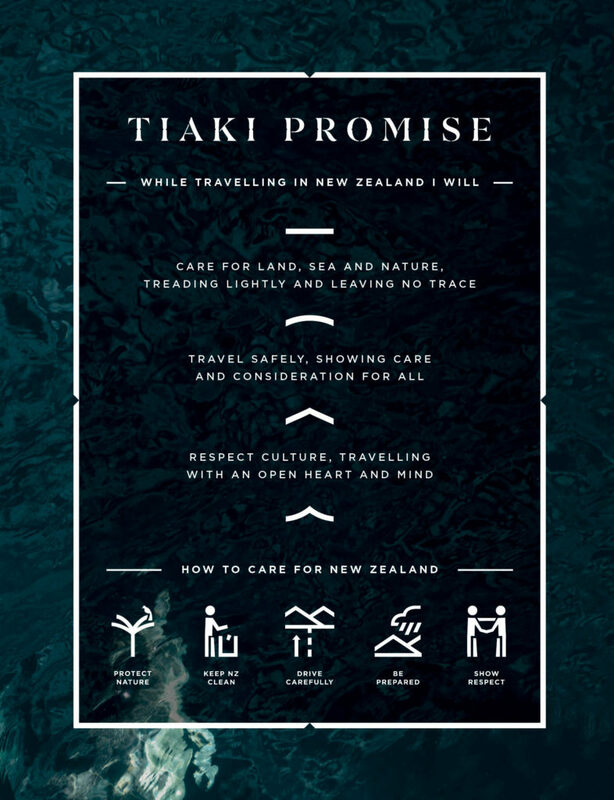 The Tiaki promise is a commitment to care for New Zealand, for now and for future generations. By following the Tiaki promise you are making a COMMITMENT to New Zealand. To act as a guardian, protecting and preserving our home. Nau mai, haere mai ki Aoteraroa, welcome to New Zealand.